Kudos to the Fox marketing department; while the ads were big on convincing us that this week's episode, "Simple Explanation" was going to CHANGE! EVERYTHING!, all of them managed to stay focused on the ep's twin patients, Charlotte (Colleen Camp) and Eddie (Meat Loaf Aday). That meant that when Foreman and Thirteen came by Kutner's apartment to check on him, and found that he'd shot himself hours earlier, it was as much of a surprise for us as it was for them. Of all the New Coke Players, Kutner's always been the most easy-going, the friendliest, the closest, gender and looks aside, we ever had to Cameron: Redux. If it had been Thirteen on the bedroom floor, well, she's got Huntington's to deal with; if it had been Taub, well, his marriage and career problems make suicide a possible, if not likely, choice. But Kutner? We never really knew anything about his personal life, beyond the fact that his birth parents were killed. 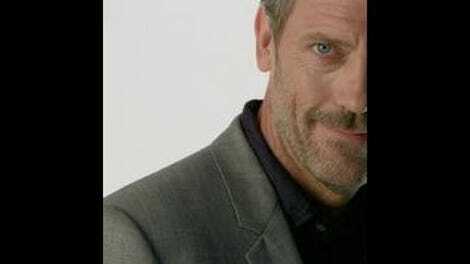 That's part of the point of "Explanation," of course; while the rest of the team grieves in their seperate ways, House immediately sees the situation as a puzzle, since the lack of information on motive makes for a frustrating gray area. The ep is trying to make some serious minded points about how little we know anyone and how suicide never really makes sense no matter how much we might wish it to. Whether or not it succeeds it is up to the individual viewer. Me, I'm split down the middle. I respect certain aspects of the ambition here, and there are a handful of rock solid moments, but at the same time, the whole thing comes frustratingly close to sensationalism. After all, in the first three years of this show, we never had a single major character die; in the past year and a half, we've lost two. It's a dramatic cheap shot that can be both effective and maddening, it was pretty much both tonight. But before we delve more into that, we might as well get the PotW out of the way. See, Eddie's real sick—lung cancer, heart problems, the works. (By the way, whoever decided to name Meat Loaf's character Eddie deserves a gold star) Colleen's been spending her time taking care of him, but in what looks to be the last moments of his life, her throat seizes up, just as Eddie finds a new will to live. The two get transported to Plainsboro, where the team (actually, it's mostly just Taub) struggles to figure out what's making her sick and making Eddie, seemingly, better. It's not a bad case but it's one that, understandably, loses a lot of its impact given the events that surround it. Without Kutner's death, the relationship here could've been more; it's something we've seen before on the show (seemingly deeply in love couple, only—gasp!—one of them's been unfaithful, and her infidelity put her health at risk)(for all House's atheism, that's some Old Testament morality at work), but the actors did good work, and I liked the brief flirtation with having Eddie willingly give his life on the table to save Charlotte. I also liked that Charlotte died in the end; every so often, a patient needs to die, and that Charlotte passed even after the team figured out why she was sick was a solid touch. Still, all that stuff was basically a footnote to Kutner's passing. I'm curious, how did you guys take this? Much as I liked Kutner (and Kal Penn), his death didn't move me; the only time in the entire episode where I was even remotely upset was when Taub broke down at the end. That's not a very good sign—a move this bold can either indicate a creative team willing to take big risks, or one that's so rudderless it's willing to try everything to find its direction. The latter seems more plausible here. I respect that in real life, suicide can often be an out-of-left-field act, and that death never comes into our lives comfortably. But on a TV show, there has to be more impact. If we're going to kill off Kutner, the whole episode should've been devoted to dealing with that; he deserved that much, at least. But they did manage to squeeze enough good moments to make it sort of work. 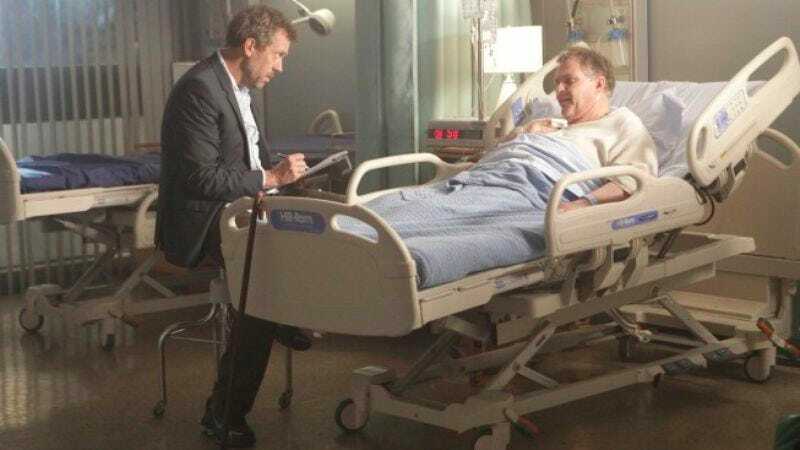 House's brief obsession with Kutner being murdered seemed much too blatant and stupid for him to fall for, but I enjoyed his scenes with Wilson, and I loved the final moments with him in Kutner's apartment, taking out photographs and trying to piece together what happened. (It was reminiscent of the episode that ended with him doing an autopsy on a dead patient just to solve the mystery.) And as irritating as the time we spent watching Foreteen weather the storm was (cutting to them repeatedly during the funeral was a bad call), I dug seeing Taub deal with it. With Kutner gone, he's basically the only person left in House's employ who doesn't annoy me. Others have speculated that the writers may be trying to move us back square one by the end of the season, and somehow get Cameron and Chase back in the game; not sure how that would work, and I really hope Taub will live through it. So I don't know. It was a ballsy move, and I'm sorry to see the character go. But there was this notice at the end of the episode telling you to go to Kutner's web-page at Fox.com to, what, post your thoughts about him, and that's just ridiculous. Amber's death last season was devastating, because we saw her go. This is more like, I know I should be sad about it, and I kind of am, but I won't be thinking about it very long. —Will we ever learn why Kutner suicided? Or is this just going to be one of those life lessons we're supposed to learn.